Mairead Robinson was bowled over by her recent cruise experience, and even met Captain Cook! As Rod Stewart’s famous song goes, ‘through stormy waters’, we did have a night or two of those as we crossed the Bay of Biscay, but found our sea legs pretty quickly and it did not deter us from enjoying gourmet food and cocktails! We were off for a twelve day cruise from Southampton with P&O Cruises on board the Oriana, and by day three at sea we were sailing serenely towards the blue waters of the Mediterranean. Our journey began with a ninety minute flight from Dublin to Southampton, and after a spot of shopping we took a taxi to the port where our ship awaited. The check-in process was swift and painless and soon we were making our way to our home for the next twelve days – a deluxe balcony cabin with floor to ceiling glass doors. The cabin was more spacious and comfortable than we had anticipated, a large wardrobe gave us plenty of space for all our clothes and shoes (we were two females, so there were lots of shoes! ), and we even fitted the suitcases at the back of the wardrobe. We had all the details that you would expect in a five star hotel room including robes and slippers, and our cabin was made up twice daily, including chocolates on the pillow at the turn-down service. We even had tea/coffee making facilities and biscuits replaced each day. And so to the food – this was a real highlight of the cruise. For those who cruise regularly, the concepts of “Club Dining” and “Freedom Dining” will be familiar and these were on offer in the two main restaurants respectively, The Oriental and The Peninsula. With the same menu available in both, we opted for the second sitting in the Oriental at 8.30, and so each evening our table was waiting for us and our friendly waiters Kevin and Dinesh and wine waiter Ferdy, looked after us brilliantly. They soon learnt our preferences, and knew when we wanted more of this or less of that before we even knew it ourselves! Each dinner was a five course treat, with plenty of choice and variety and regular favourites always included. From the home-made breads to the Petit Fours, it was fine dining every night. By day we enjoyed breakfast and lunch, and indeed Afternoon Tea, in the Peninsular Restaurant which also offered white linen service. We met so many different people at these meal times, exchanged stories and picked up lots of information from ‘cruise regulars’, some of whom had done the three and four month world cruises. For those who prefer a more casual dining ambiance, The Conservatory Restaurant offered self-service buffets throughout the day, with plentiful choices from breakfast through to dinner. We however like the more formal and fancy occasion, allowing us an opportunity to put on the glamour and with three Black Tie Dinners, we were in our element. 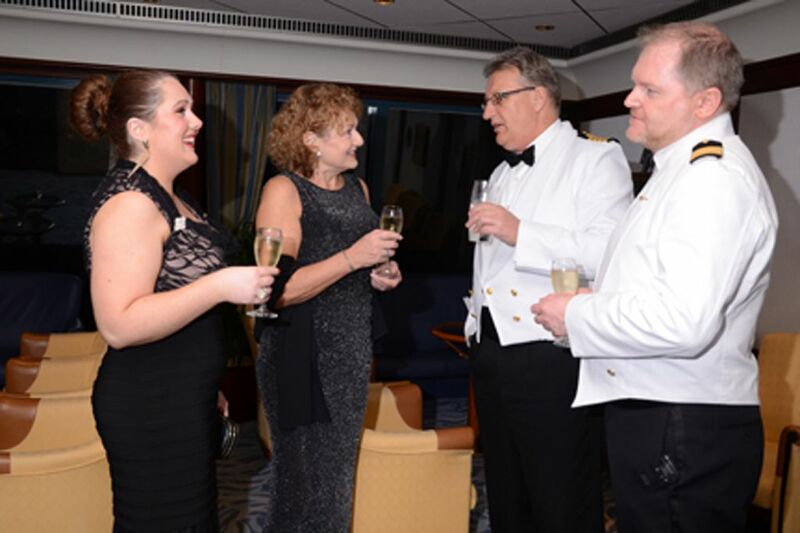 The Captain’s Party and Gala Dinner was a fabulous affair, as was our visit to Marco Pierre White’s Ocean Grill Restaurant. This speciality restaurant is a ‘must do’ as the dishes are sublime, and for a small supplement, £12.50, you can enjoy a seafood lovers dream- mixed grill brochette – a huge platter of cod, salmon, prawns, scallops and squid with the famous triple-cooked chips and Hollandaise Sauce. The fillet steak, dry aged on the bone for 28 days, was also a large plate of food that took some determination to finish. Portions are exceptionally generous in this gourmet dining restaurant, and we had been forewarned, so we wisely decided to forgo the afternoon Tea on that day. We also visited Sorrento, an Italian speciality restaurant with great classics, such as Saltimbocca alla Romana which I loved. 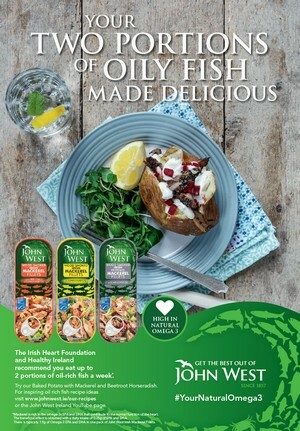 With all the spectacular food on board, I was interested to hear about the executive chef, and was delighted to meet Darren Deegan from Sligo who gave us a tour of the galley and explained how he oversees the preparation of 12,000 meals each day. With around 1,850 passengers and a crew of over 800, the ship carries 150 tons of food and beverage for the twelve day cruise. I was delighted to learn that much of the meat is Irish, and our farmhouse cheeses also figure on the impressive cheese boards. Storage is strictly controlled, everything is spick and span and timing is precision to deliver the first class service. Besides eating, there is plenty to do on board during the sea days: dancing, quizzes, talks, bingo, demonstrations, library, casino, shopping, the spa and the gym and by night the entertainment is renowned. We loved the opera singer Roy Locke and the comedian John Evans and the Oriana Orchestra were consistently excellent. Every evening the Horizon newspaper was delivered which included all the details for the following day from the port information if we were docking, to the entertainment, day’s activities, weather, the night’s dress code, what was on in the cinema to the daily recommended cocktail. And finally to our cruise destinations. 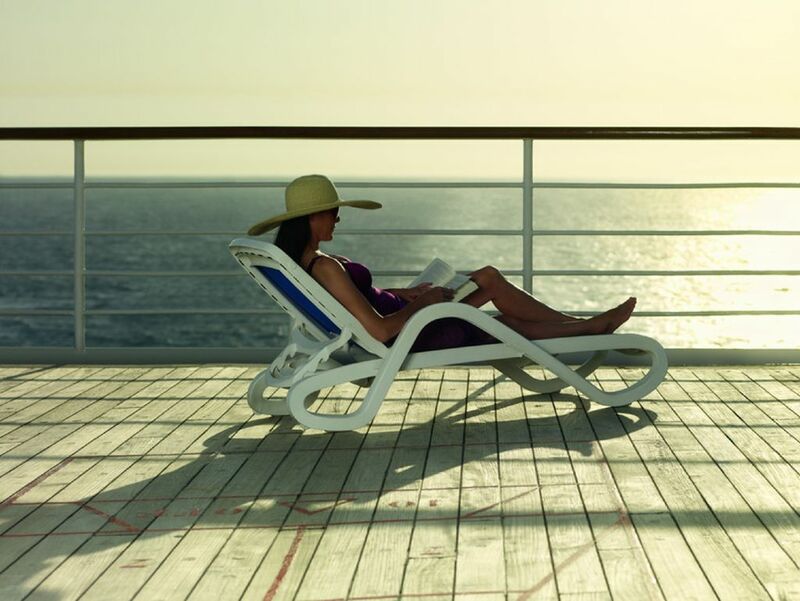 It might sound like we never left the ship, and indeed days spent at sea passed blissfully, some even poolside when the sun was shining. We did spend our first shore day at Madeira where the temperature was a lovely 24 degrees (it was 14 when we left Southampton) and the following day on the island of La Palma. The next day it was the little island of La Gomera (temperature was 26 degrees) and this was my favourite destination. The island is so unspoilt, and most people reach it by ferry from Tenerife, which is where we docked the following day. Santa Cruz in the north of Tenerife – unlike the tourist resorts on the south-west of the island – is a great place for shopping and for sampling local tapas. That evening we sailed north again and after another relaxing sea day we arrived at Lisbon. Here the weather proved a bit ‘Irish’ and as it was lashing rain we did not linger at the shops but looked out the windows from the bus at the interesting castles and churches. Fortunately I have visited this city previously, including the seaside villages of Estoril and Cascais and so I was happy enough to return to the comfort of the ship in the early afternoon. Two more days at sea as Oriana made steady progress towards Southampton where on the way we glimpsed dolphins frolicking in the water in the distance using the binoculars on our balcony. We also got to visit the bridge, which was fascinating and like being in the cockpit of a jumbo jet; it is so impressive to see how this huge machine can be glided along using a combination of traditional and highly technical equipment. And of course the ever watchful eye of Captain Cook and his team meant we were always in very safe hands. 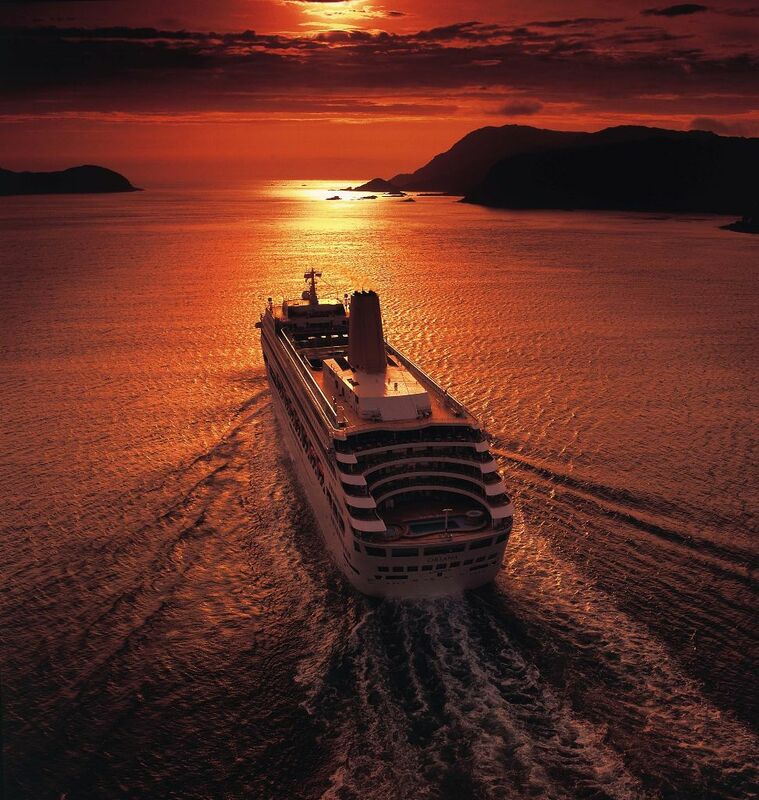 I understand why so many people return again and again to P&O cruise ships: The high standard and the value for money is excellent when you experience all that is included, and the care and attention from the highly professional crew is very reassuring. This is totally the way to see the world. I am planning the next one already!